1. Your username needs to be your email address. To change it, click on the Tools menu, and then click on Account Settings. 2. 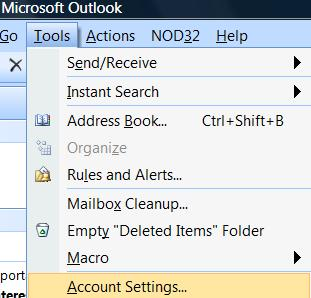 Select the e-mail account that you want to change, and then click Change. 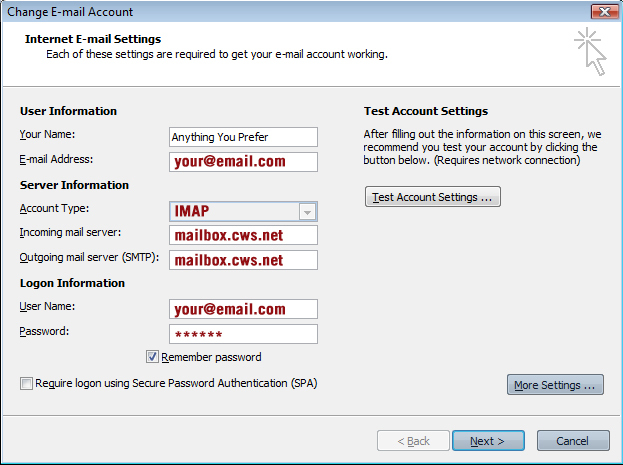 Under Logon Information, in the User Name box, type your full email address and your password provided by CWS. 7. Next we need to verify a setting to enable you to send outgoing mail. Click on More Settings. 8. Click on the outgoing server tab and make sure your settings look like the image below. 10. Select check box next to This Serves requires an encrypted connection (SSL). 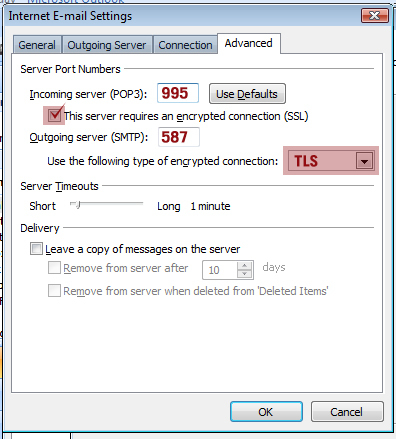 This changes your Incoming POP3 port to 995 or IMAP port to 993. 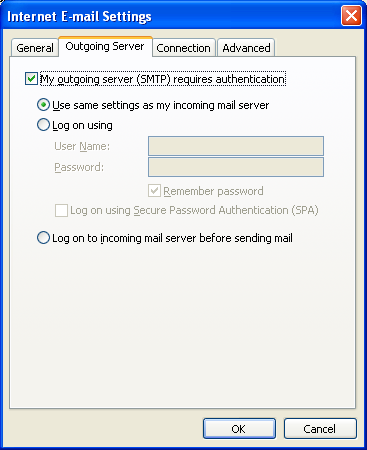 Next change your Outgoing server (SMTP) port to 587. Then click on the drop down next to Use the following type of encryped connection: and select TLS.